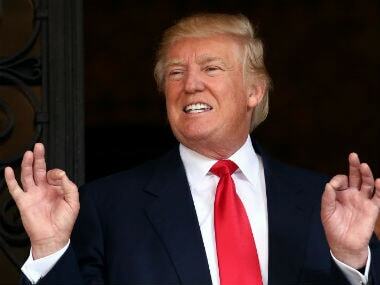 A month after US President Donald Trump warned Islamabad against providing safe havens to terrorists, Pakistan's prime minister Shahid Khaqan Abbasi on Thursday said that it cannot be a "scapegoat" for Afghanistan's bloodshed and refused to endorse any "failed strategy" that will prolong suffering of the people in the region. 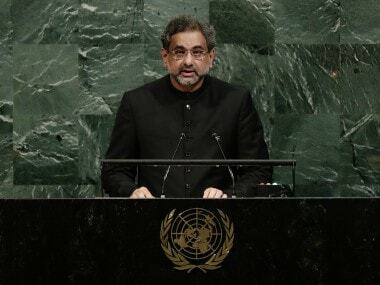 Addressing the UN General Assembly, Abbasi did not explicitly criticise US president Donald Trump's new strategy on Afghanistan but made clear his displeasure with the renewed onus on Pakistan and claimed that there are no Taliban safe havens in his country. "Having suffered and sacrificed so much due to our role in the global counter terrorism campaign, it is especially galling for Pakistan to be blamed for the military or political stalemate in Afghanistan," Abbasi said. "We are not prepared to be anyone's scapegoat. Taliban 'safe havens' are located not in Pakistan but in the large tracts of territory controlled by the Taliban in Afghanistan,” he said. 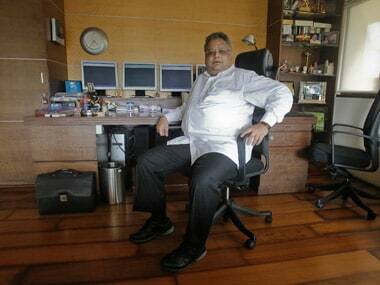 “Yes, cross border attacks do occur. These are mostly conducted by anti-Pakistan terrorists from 'safe havens' across the border. 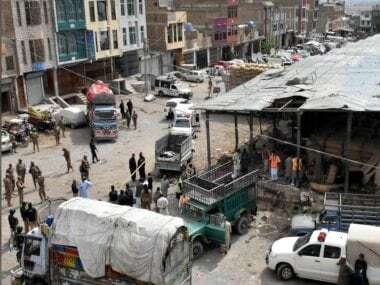 To end all cross border attacks we ask the Afghanistan government and the Coalition to support and complement Pakistan’s ongoing efforts to strengthen border controls and monitor all movement across it,” Abbasi said. However, he said that what Pakistan is not prepared to do is to fight the Afghanistan war on Pakistan's soil. "Nor can it endorse any failed strategy that will prolong and intensify the suffering of the people of Afghanistan and Pakistan and other regional countries," Abbasi said in an apparent rebuttal of Trump's new South Asia policy. Abbasi said that 27,000 Pakistanis have been killed by extremists since the launch of the US war on terror after the 11 September, 2001 attacks. Abbasi called for a priority on eliminating extremists, including from the Islamic State group and Al-Qaeda, in Afghanistan but ultimately a political solution with the Taliban. "Pakistan believes that the urgent and realistic goals in Afghanistan should be: One, concerted action to eliminate the presence in Afghanistan of Daesh, Al-Qaeda and their affiliates including the TTP and Jamaat-ul-Ahrar, which was recently declared a terrorist organisation by the UNSC. "Two, promote negotiations between Kabul and the Afghan Taliban – in the Quadrilateral Coordination Group (QCG) or any trilateral format – to evolve a peaceful settlement in Afghanistan. These two steps offer the most realistic prospect of restoring peace and stability in Afghanistan and our region,” he said. Abbasi said apart from the people of Afghanistan, Pakistan and its people have suffered the most from four decades of foreign intervention and civil wars in Afghanistan. "These wars have blighted our country with the flow of extremists and terrorists, guns and drugs as well as an influx of millions of refugees. They have set back our economic development by decades. Even today, Pakistan is host to over 3 million Afghan refugees. No one desires peace in Afghanistan more than Pakistan,” he said. He said that from 16 years of the ongoing war in Afghanistan, it is clear that peace will not be restored by the continuing resort to military force. 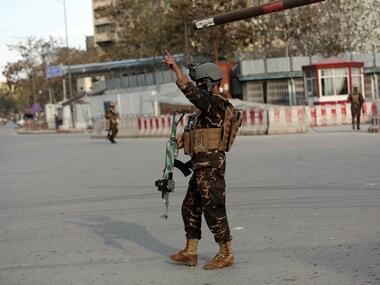 "Neither Kabul and the Coalition, nor the Afghan Taliban, can impose a military solution on each other. The international community – as expressed in several United Nations resolutions – has concluded that peace can be restored in Afghanistan only through a negotiated settlement,” he said. US and Afghan officials have long accused Pakistan of playing a double-game, with the powerful intelligence services - not the civilian government - maintaining ties with extremists. US forces tracked down and killed Osama bin Laden in 2011 in Abbottabad, a popular resort for Pakistan's military elite. Trump, unveiling a new strategy in August, pledged to take a tougher line on Pakistan — making public what had long been more private US frustrations. Afghan President Ashraf Ghani in his own speech to the United Nations appealed to Pakistan for dialogue, saying that the neighbors can work together to eliminate extremism.